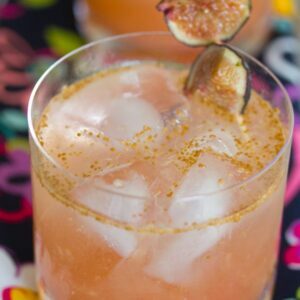 This Sweet Fig Cocktail combines simple ingredients like fresh figs, vodka, lemon, and honey for a sweet fig-flavored drink perfect for any time figs are in season. Happy Friday!!! Cocktail Friday!!! I would use a bazillion more exclamation points if I could. But that might get annoying. But you should know that’s how I feel !!!!! I haven’t done a Cocktail Friday in what feels like ages. I’m not sure why. Probably just because I’ve been a bit lazy and when I want a cocktail, I want it ASAP and I don’t want to try to develop a new recipe and have a chance it won’t be quite right. But over the last long weekend, I figured I’d take advantage of my extra day off and do some cocktail concocting. Columbus would have approved, eh? Figs are my obsession this season. Now that it’s getting a bit colder out (hey, Boston; what was with the chilly temps today anyway??) they are going to be getting a bit harder to find, so I recommend you get on this cocktail immediately. If you check my Google search history, you’ll see that I search “when is fig season” probably every other month. Even when they are in season, my local grocery store often doesn’t carry them, so I always need to double check. One of the reasons I never remember is because there are actually TWO fig seasons! The first one begins in early June and the second one is from August to October. So, keep your eyes out for figs in the summer and early fall. I used black mission figs for this cocktail recipe; you can use any kind you want, though I recommend a sweeter variety. In my experience, black mission figs and Adriatic figs are the sweetest and since this is a SWEET fig cocktail, I recommend using one of those. I don’t even have photos of the cocktail-making process because um, it’s super easy. And nobody really wants to see the dark photos of the inside of a cocktail shaker. All you need to do is put the fig quarters in a shaker. And muddle them as much as you possibly can. Then you put some ice in the shaker, along with the vodka, lemon juice, and honey. Shake it all up. And strain it into an ice-filled glass. Top it off with soda water. And a pretty fig garnish if you wish. OK, it’s officially Friday. Yes, there are a bunch of seeds in this. But I actually liked it. I love pulp, seeds, and all that jazz and these seeds are so tiny, I thought they added a fun seasonal touch. Of course, you can strain the cocktail before pouring into a glass if you wish. 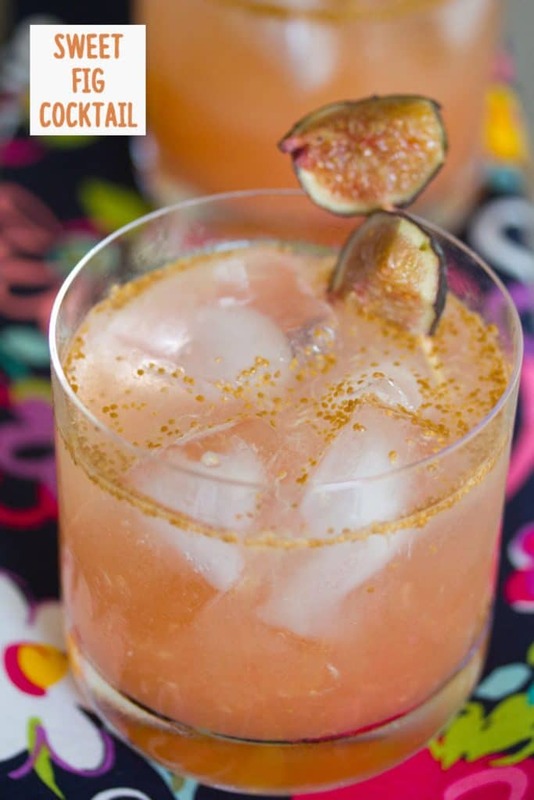 Or you can stop wasting time and just pour this delicious fig drink into a glass and get sipping. Much better plan. 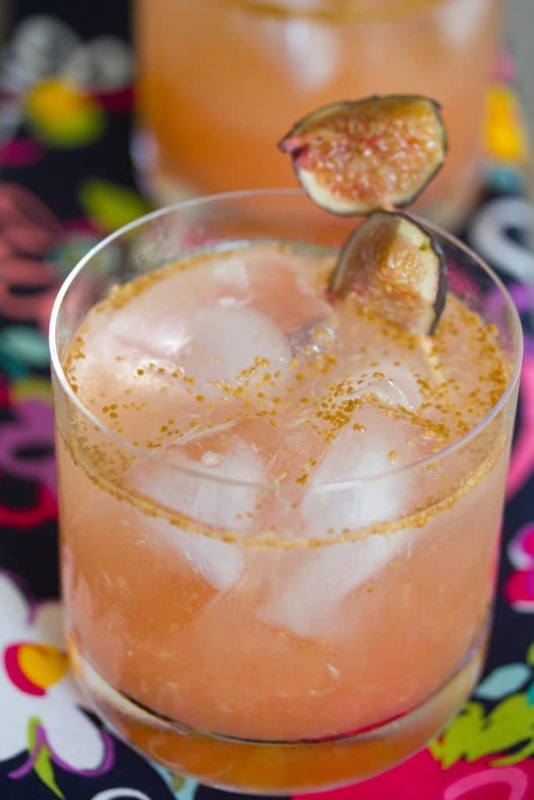 This cocktail totally has me wishing that figs were available year-round because I want to drink this cocktail every day. I mean, if I drank every day. Which I don’t. But um, you know what I mean. I just want to have figs in my kitchen all the time. And in my cocktails. And most certainly atop my pizzas with gorgonzola and prosciutto (THE BEST!). Why do I love this cocktail so much? It has full fig flavor as the vodka really doesn’t mask any of it. And the lemon and honey nicely complements the fig, giving it a citrusy sweet touch. it’s one of those cocktails that’s really difficult to dislike… and really easy to become obsessed with. What are you up to this weekend? Sipping on anything? If you love figs as much as I do, be sure to check out my recipes for Caramelized Figs and Dark Chocolate-Dipped Figs with Gorgonzola. I also can’t wait to try this Fig Bourbon Maple Ice Cream from Spices in my DNA. Place fig quarters in a shaker and muddle them into a puree. Add ice to shaker, along with vodka, lemon juice, and honey. Shake vigorously. Strain cocktail into an ice filled glass. Top off with soda water and garnish with additional fig quarters if desired. 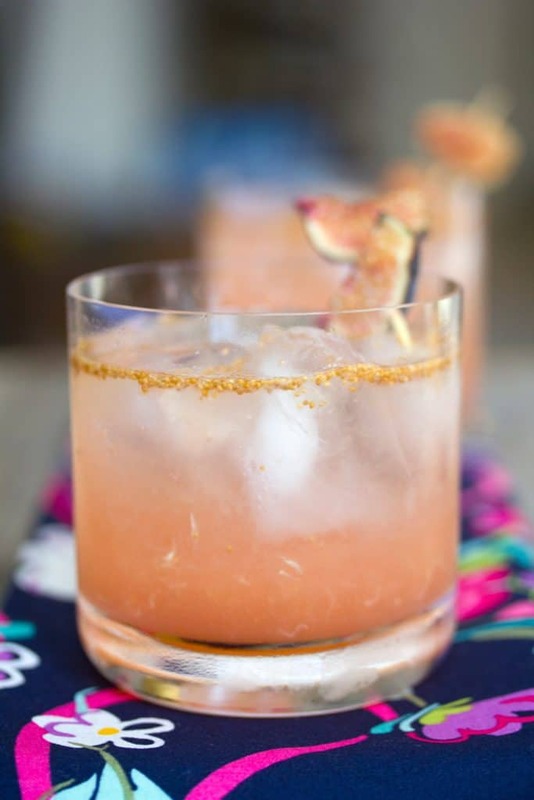 10 Responses to "Sweet Fig Cocktail"
I am definitely into weekending as a verb! And I am also definitely into infusing every part of my life with figs. Especially cocktail hour. Right now I’m sipping on Gatorade haha but I’d love to enjoy a fig cocktail tonight! I usually prefer dried figs to fresh but now I want to look for a carton of fresh figs just for this! Figs in a cocktail. Now THAT is creative. Beautiful pics. 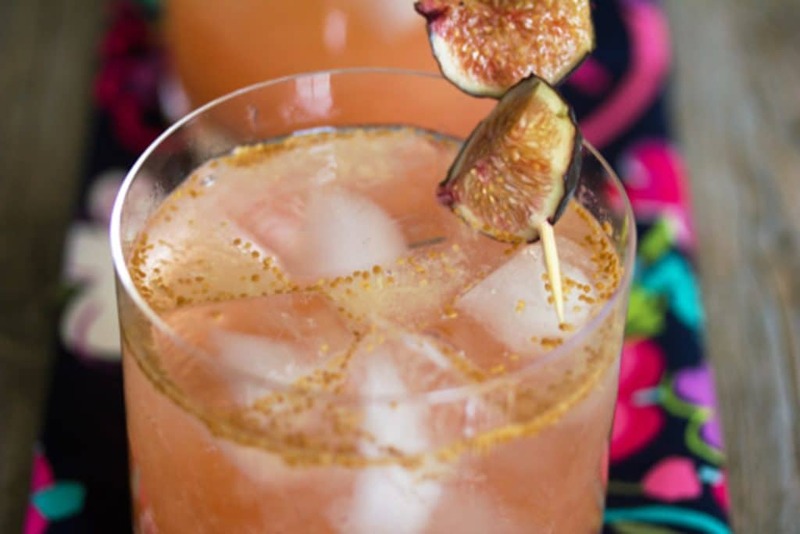 I looove figs (and vodka), so I’ll definitely have to try this! The doctor definitely ordered this for Monday night! Somehow I missed this last week and I could have used it this weekend! It’s beautiful! I was proposed this weblog by my cousin. I am not confident no matter whether this post is created by him as no 1 else know these kinds of detailed about my difficulties. You are outstanding! Many thanks!